Birch Press Design SMILE SUGAR SCRIPT Craft Dies 57151 at Simon Says STAMP! 57151 This item is on reserve until If you would like to reserve this item now, you may purchase it now with the rest of your order. We will hold your order now and ship your entire order as soon as this item is back into stock. If you would like your order to ship now, please place this item on a separate order. Success, Birch Press Design SMILE SUGAR SCRIPT Craft Dies 57151 has been shared! Dies are made in the USA of durable steel and usable in nearly every machine on the market! Use on cardstock, felt, fabric or shrink plastic. Complete collection for layering or use individually. Cut, stencil, emboss and create! Birch Press Design's talented team has been designing products in the paper industry since 1994 and is constantly inspired by the beautiful outdoors. Based in Seattle, Washington - home to some of the most gorgeous forests and beaches in the world - and with nature as a guide, Birch Press Design creates and gathers the beautiful items you see here today! 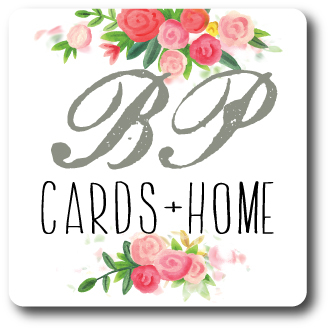 Birch Press Design's mission is to provide delightful things that inspire others as well. This brand is passionate about celebrating the seasons and holiday traditions of the world and hopes you enjoy their collections.